I went to the last craft group of the year at my cafe on Monday. 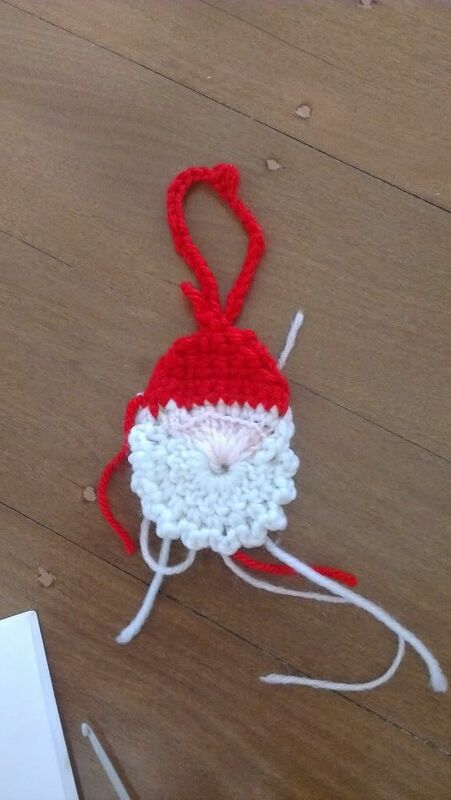 The lady that 'runs' it (is the most knowledgeable) brought along some Christmas crochet ornament patterns to share. She had a whole pile of stars and other ornaments. I wasn't feeling much like stitching which is what I took along so I borrowed a hook and some yarn and hopped to. I made a WHOLE pile of ornaments. They take a very short time to whip up and they look so pretty! I am very proud of myself I FINALLY learnt to read crochet symbols and I don't understand what too me so long! They're so easy to read! Also while I was sitting there she made me a santa ornament for my tree. But because I had to leave it didn't manage to get finish finished so I need to buy a pom pom for the nose and put two eyes on and sew in the threads but that is easy enough to do. I was also given the pattern for this little guy and I may have to make a pile for family as well but not this one he's MINE! So I haven't been stitching at cross stitch much at all but I have been crocheting and knitting. Not sure why but I am drawn to them at the moment. I think it's because I don't have to think too much. Those are wonderful ornaments! 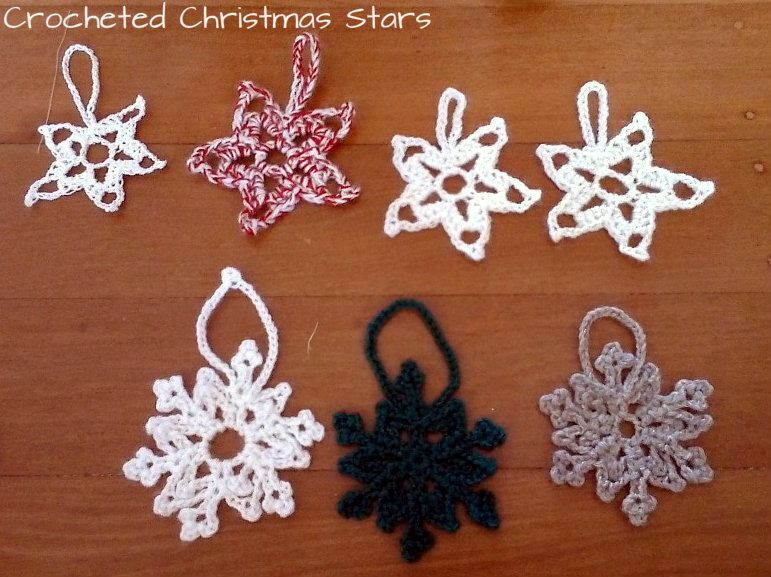 I have a crocheted snowflake that a friend made for me about 20 years ago and I think of her every year when I put it on the tree. Well done on mastering crochet patterns. I really want to learn how as well. The snowflake ornaments are adorable. They will look great on the tree. But, I love the little santa. Any chance I could get the pattern.